I spent a recent Tuesday night immersed in First Nations gun culture. As I drove around Sisters heaving bundles of my newspaper — my weekly chore, I listened to the estimable Ben Franklin’s World podcast, featuring David Silverman, author of Thundersticks: Firearms and the Violent Transformation of Native America. I read the book when it came out over a year ago, and it’s quite worthy. If you don’t have time for the book, the podcast will do quite nicely. 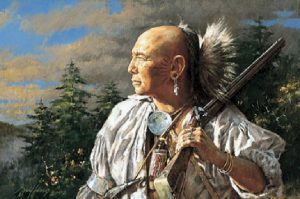 It’s a refreshingly, even brutally, honest look at the gun culture that blossomed almost immediately when traders first came among the native tribes of North America. While Silverman covers the whole territory from the 16th through the 19th centuries, the podcast, naturally, focuses on the colonial era. Silverman dismisses the patronizing myth that natives were drawn to firearms due to superstitious awe of the pyrotechnics of the blackpowder musket. Sure, a flash and a boom and a cloud of smoke would have made an impression upon people who had never seen such a thing before, but the native peoples were not children. They immediately grasped the value of the thunderstick as a weapon of war. From the 17th century, the First Nations peoples engaged in an arms race; those with guns dominated those without. In the northeast of North America, the fur trade revolved around the trade in muskets and powder and shot — and tribes commonly negotiated for free blacksmithing services to keep the somewhat fragile flintlock mechanism in good repair. Contrary to perception, the Indians were not fobbed off with cheap guns. They got firearms that met their specs — light, durable, versatile and affordable. Smoothbores were predominant for most of the period, but by the late 18th century, hunters in particular were armed with rifles. The fur trade was ecologically destructive and politically disruptive. 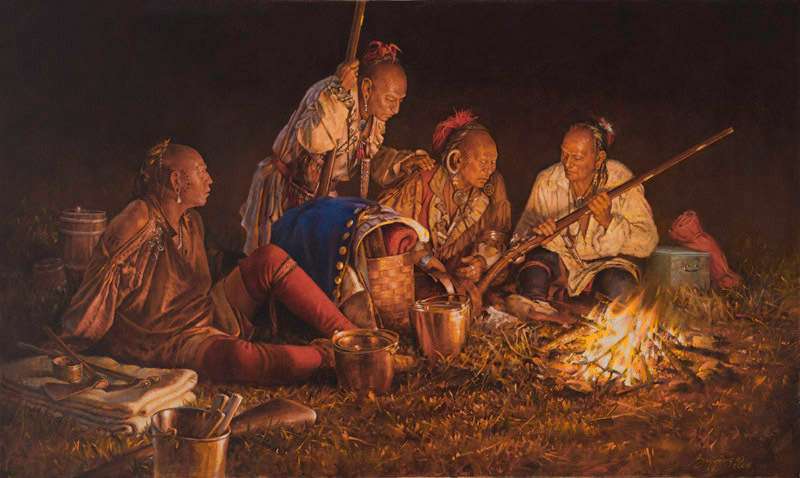 The well-armed Iroquois established dominance over a great swath of territory in the 17th century in order to maintain their fur supply, and the complex of economically and culturally driven warfare created profound dislocation in the interior of North America. In the southeast, where the fur trade was much less of a factor, the tribes traded in slaves in order to maintain a steady supply of guns and powder and shot. Silverman is blunt about this nastiness, and he says something that is, for me, an absolute key to understanding the borderlands: The native peoples had agency in all of this. They were rational actors, pursuing their economic and political interests. To treat them as mere victims of European cupidity is patronizing and distorts history. Yes, Europeans initiated the trade, but the native peoples jumped into it eagerly, seeking goods that materially improved their lives — and their power. It is interesting and important to note that the arms trade flourished despite many official attempts to restrict it. The Indians would not be denied, and the traders would not be thwarted. Trying to do so, as was done immediately after the British victory in the French and Indian War, contributed a spark that ignited the conflagration of Pontiac’s Rebellion in 1763. Silverman briefly touches on the gun culture that swiftly became central to the Indian male’s sense of identity. The gun became a symbol of masculinity and independence — the sort of thing that gives a certain class of modern political actors the vapors when they observe it in white Americans. 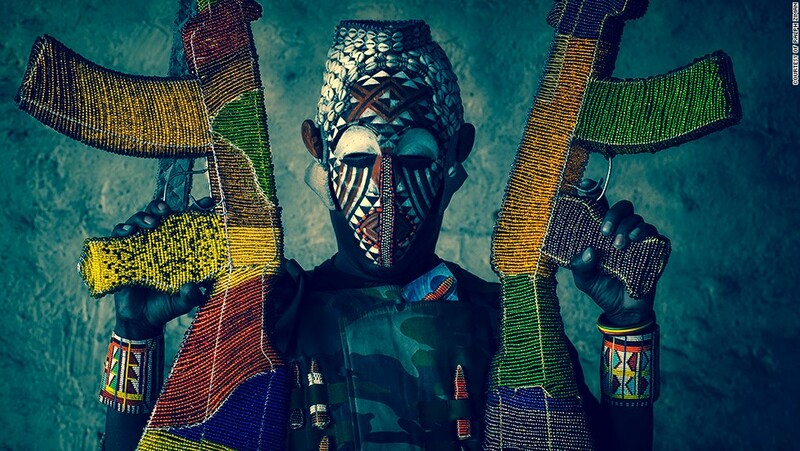 It is interesting to note that a similar gun culture evolved amongst the native peoples in many regions in Africa, particularly in South Africa, which has a frontier history that is quite similar to North America’s. Such a gun culture persists because it tugs at something deep in the core of man. Some folks are horrified at this. We here at FP get it. Most of us are, in one way or another, part of it. The podcast host asks Silverman an interesting counter-factual question: What would have happened if the native peoples had not adopted the gun so assiduously, or if colonial powers had been successful in restricting the trade? Silverman responds that a great deal of intertribal bloodshed might have been averted — but the tribes would have been subjugated by European-American powers much more swiftly. He notes that the tribes were generally armed as well as their ultimate Euro-American adversaries right up to the point of subjugation. They were not overwhelmed by superior firepower, but by sheer numbers and by the scourge of disease. And it’s worth noting that when Crazy Horse surrendered to the U.S. Army in 1877, he negotiated a handover of his guns — not confiscation. The great warrior turned in three Winchester repeaters. 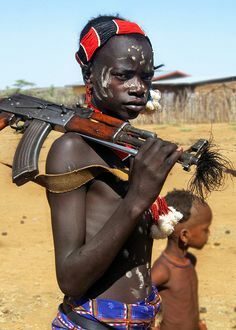 It only makes sense that the Indians adopted guns early. While the bow and arrow was not made immediately obsolete with the introduction to guns, there are reasons it was superseded by firearms. If aliens landed on earth we would be scrambling to get their laser pistols. Excellent find. I’ll be on that this week. Per the what-if question…that’s akin to the atom bomb in the spring of 1945. Do you chicken-fry a good chunk of two major population centers with options on a third, accept the inherent cost in non-military casualties by effectively razing both, and bank on the sheer nation-breaking awe of a man-made sun ending it? Or do you opt instead to cash out the entirety of the U.S. Marine Corps plus the first half-dozen Army divisions setting foot on the Home Islands and eliminate the Japanese as a distinct people? Because by most projections, those were the options. Most people can pick one or the other. The ones with any sense will do so while acknowledging the it’s more a matter of best/worst choice as opposed to right/wrong. Bemoan, deny, or despair of the fact…95% of the time (more, probably) people will universally act in their best interest of themselves and their nation over a faceless and generalized ‘humanity’. Tribalism isn’t a political system. When the dust settles, it’s the ONLY political system. Your comment came up as I was taking a break from reading Rise and Kill First: The Secret History of Israel’s Targeted Assassinations. So… yeah, what you said. Native Americans had a serious gun culture they wanted firepower- and, at least at the Little Bighorn they were better armed than the US Cavalry. Of course ole “Yellow Hair” made the brilliant “Custer decision” to leave some Gatling guns behind- insuring the outcome of the fight and the epic disaster. Indian tribes who obtained guns first defeated other tribes armed with traditional weapons and drove them west. Quite interesting. Men of all races have a inherent abiding keen interest in weapons and combat. 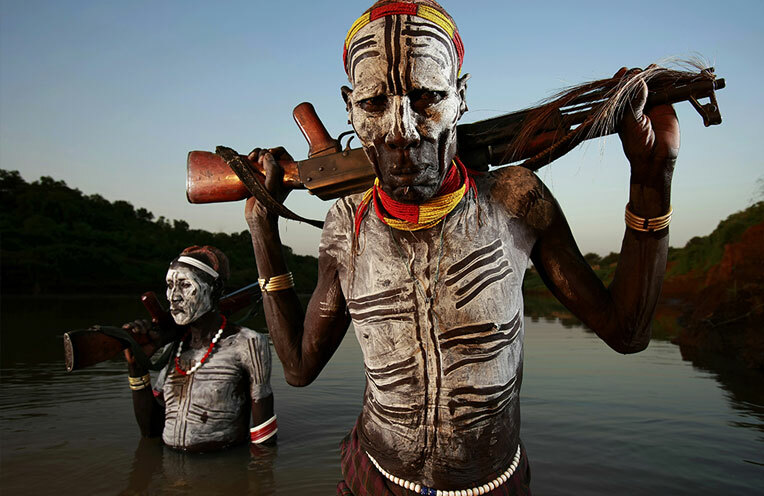 And leaders of self defense units of the various tribes would have been quick to see the advantages of having smoke poles to use for hunting, self defense and war. Only people I know of who have tried to “give up the gun.” are the Japanese- and they did that only to a certain extent. The pix of Geronimo’s holdouts show men who are VERY well armed — Springfields, Winchesters, sidearms. It’s interesting to note also that many of the warriors all the way back into the 18th century had multiple firearms. Probably as many as their wife would tolerate :). I read an interesting account–from one of my FAVORITE Old West characters–the one-armed rancher/bear hunter/dog-and-horse trainer Englishman Montague Stevens–who asked some Apaches he got acquainted with in later years why he hadn’t been ambushed and killed, after they admitted to him they had observed him many times laying in wait for travelers when on the warpath in his area(New Mexico), and they surprised him by saying they had no interest in wasting an ambush on someone traveling unarmed–they were out to get as many guns as possible, and let poorly armed people go by unmolested! A case of being well-armed actually working against you, in the Old West! I have read that story as well. Great post. Thundersticks is a great read. Lots of N.A. tribes mentioned that by in large are overlooked or forgotten. Thanks Brian. Yes, I particularly appreciated the Blackfoot chapter. My perspective on them had been shaped by years of hearing their story only from the perspective of their American Mountain Man enemies. Although they certainly had guns, and would have loved to have had more, it is a MYTH that the Indians at Little Bighorn were BETTER armed than the soldiers. They DID grab every gun from fallen soldiers that they could, and were perhaps far better armed AFTER the battle! But every INDIAN eyewitness account denies this superior fire power, and commentary about the dust being so thick at some points, you couldn’t see to shoot very accurately anyway(which no doubt was a greater disadvantage to Custer’s men) was common in most INDIAN accounts. Also, the “last stand” on Custer’s hill was NOT a protracted fight where much gunplay had any real effect–the Indians simply rode over the outnumbered troops en masse, and most accounts talk about the use of CLUBS of various sorts being utilized in the close combat doing a lot of the final killing. The final stand on Custer’s hill only lasted(from the Indians descriptions) 20 minutes or so. They did NOT ride around and around the beleaguered soldiers for hours, as portrayed in inaccurate movie Westerns. This information was gleaned from reading MANY Indian accounts of individuals that actually participated in the fight, both Lakota and Cheyenne. It is understandable, of course, that this greatest of all embarrassments to the military at the time, would seek to perpetuate the myth that the Indians were so much better armed! The Sioux and Cheyenne did have a good number of repeaters.